We need your voice now! 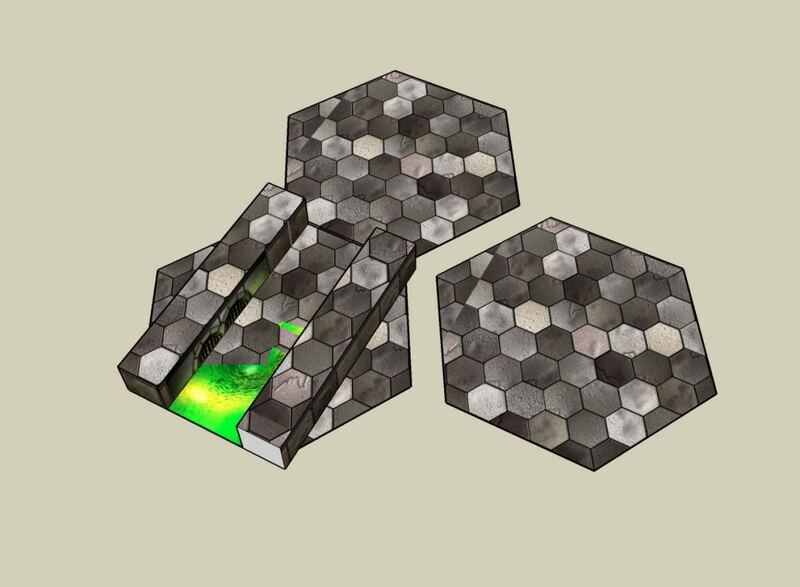 Bruce Hirst from Hirst Arts Fantasy Architecture is asking if anyone would actually use 1″ hexes as most board games that are coming out are using 1.5 inch to 2 inch hexes. 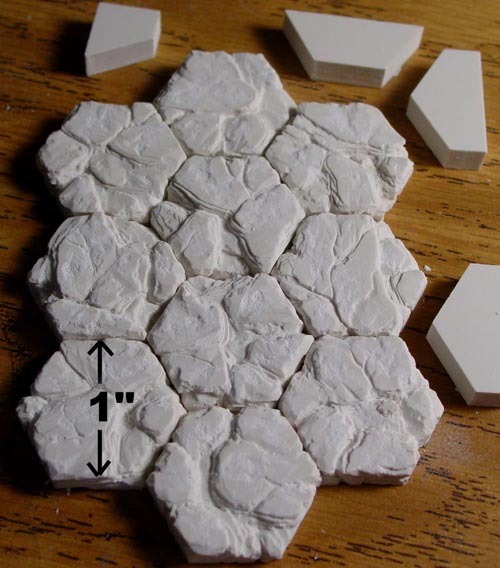 I’ve been asking for years for him to delve into 1″ hexes as I stopped purchasing his moulds (I have a lot of them) when I got seriously into GURPS and was put off by the lack of hexes. 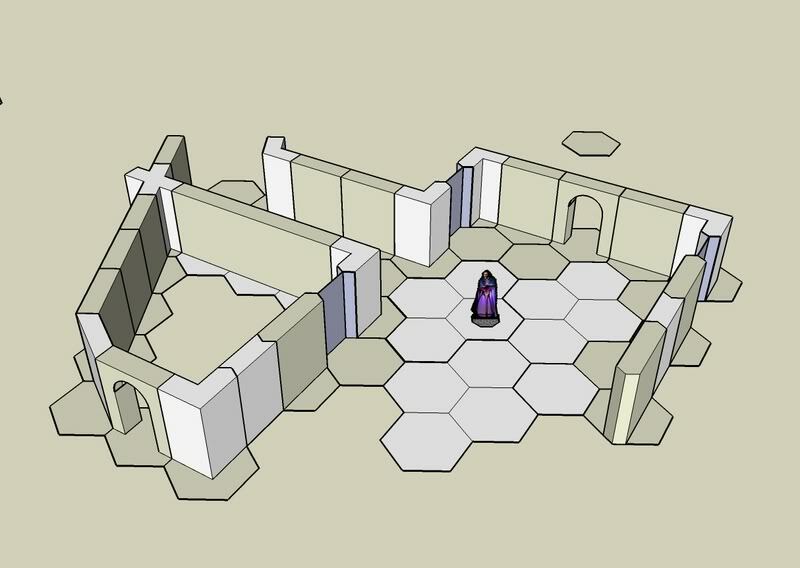 I think I’ve proven that hex dungeons work and I’ve done some work on overland and buildings with hex bases as well. 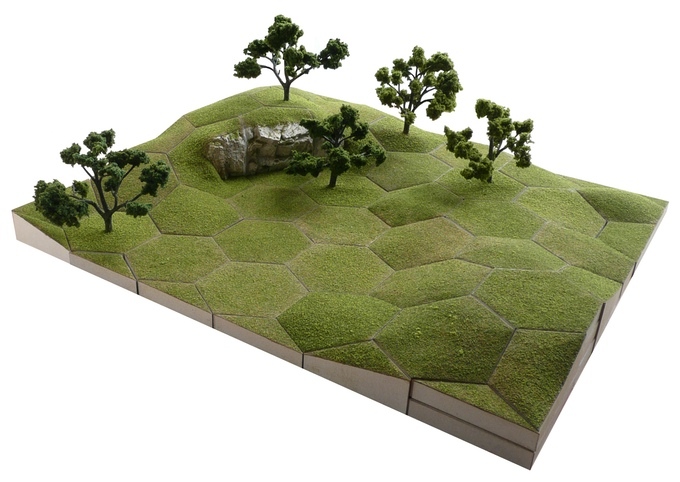 So if you are interested in creating your own hex based terrain get over to the forums and let your voice be heard! When Bruce was first experimenting with the “Hex Hills” he started out with 1″ but soon abandoned the idea. 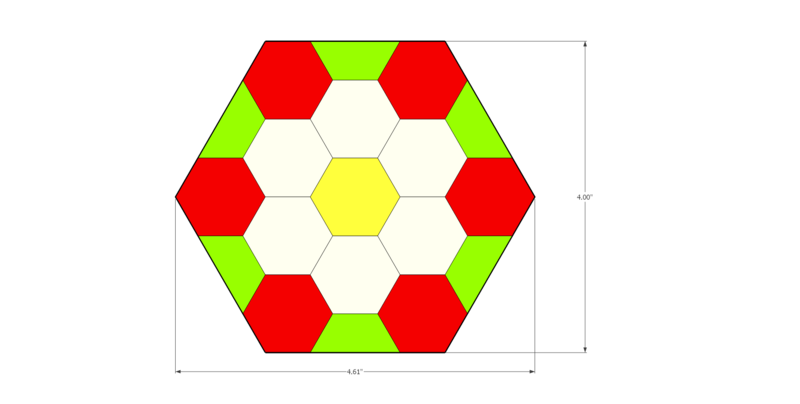 Last time I discussed, in my own disorganised way, my thoughts on 7″ hex tiles. 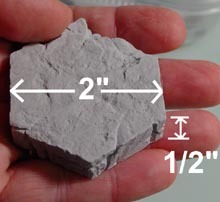 Now I’m going to delve into the 4″ hex tile. 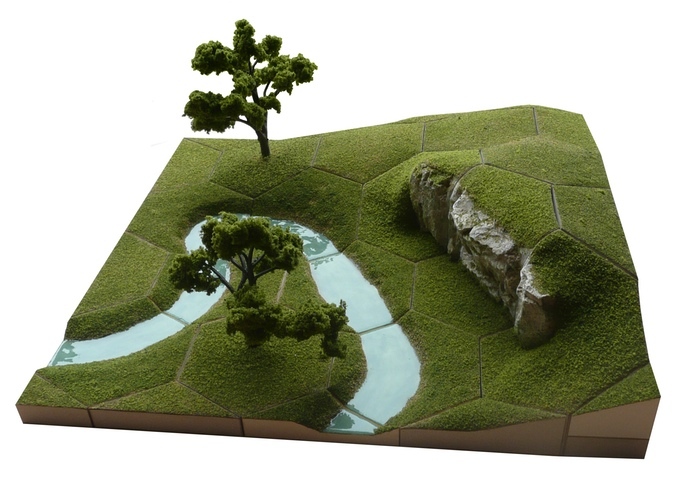 As I’ve stated a few times before the thought first came to me when I saw the Tabletop Hex Terrain Toolkit on Kickstarter. 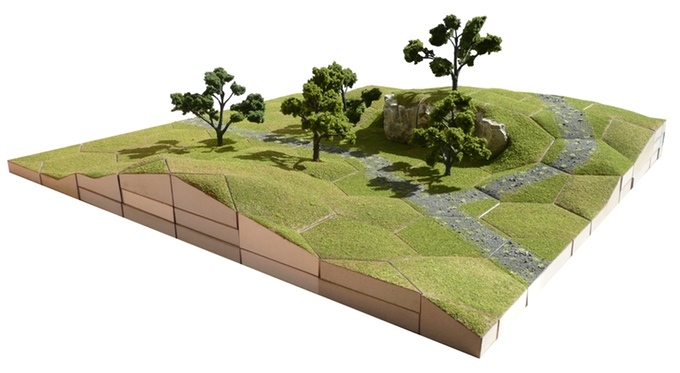 This is going to be a great tool for making some wonderful terrain for both RPG’s and Wargames. However the scale is just slightly off for my tastes (as discussed here). 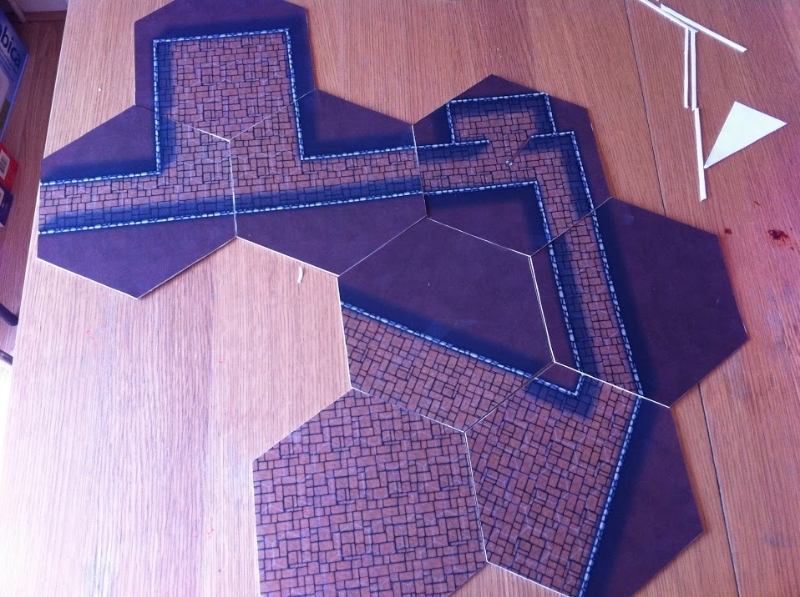 I may eventually redesign the tool for use with proper one inch horizontal hexes, until then I am making four inch tiles to use for my GURPS Dungeon Fantasy games. 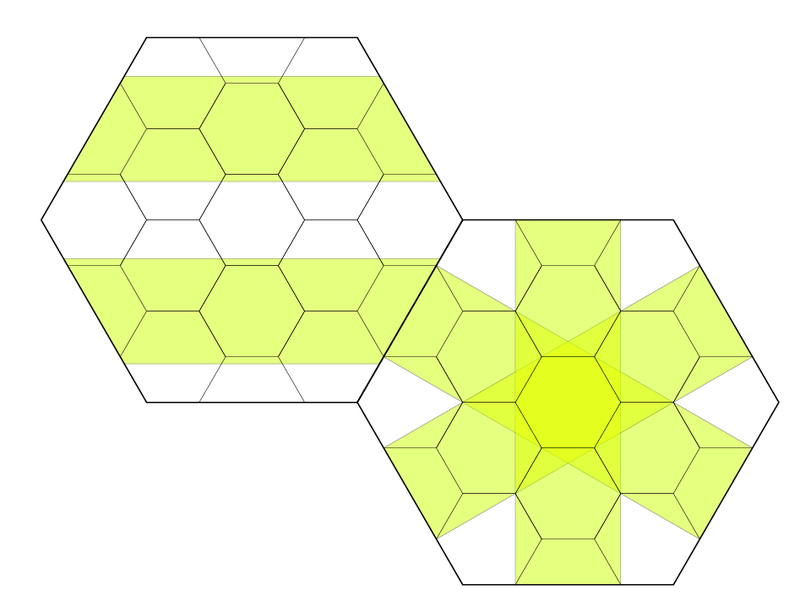 The 4″ Tiles can only support single and double width corridors (1 hex = 3′) compared to the three widths in the 7″ tiles. 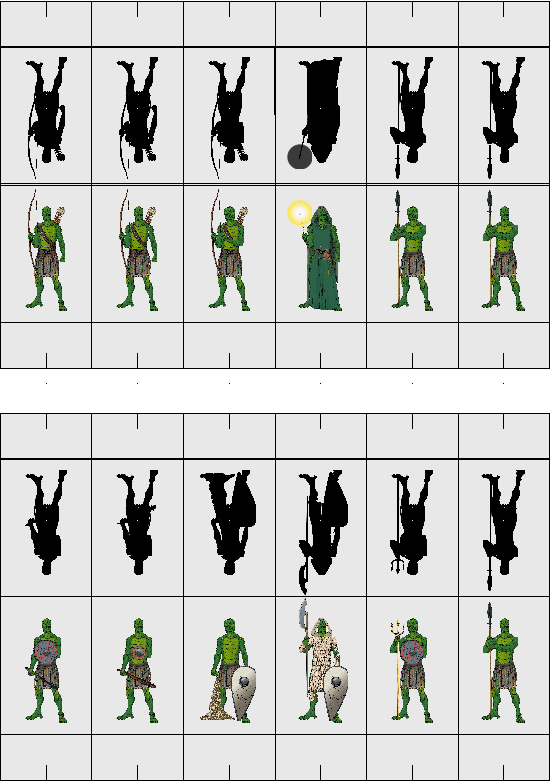 Also the number of connections is reduced dramatically to the four examples in the following image, compared to the 9 images for 7″ tiles. 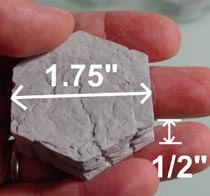 Although there are fewer options I don’t think the four inch tiles are inferior to the seven inch. 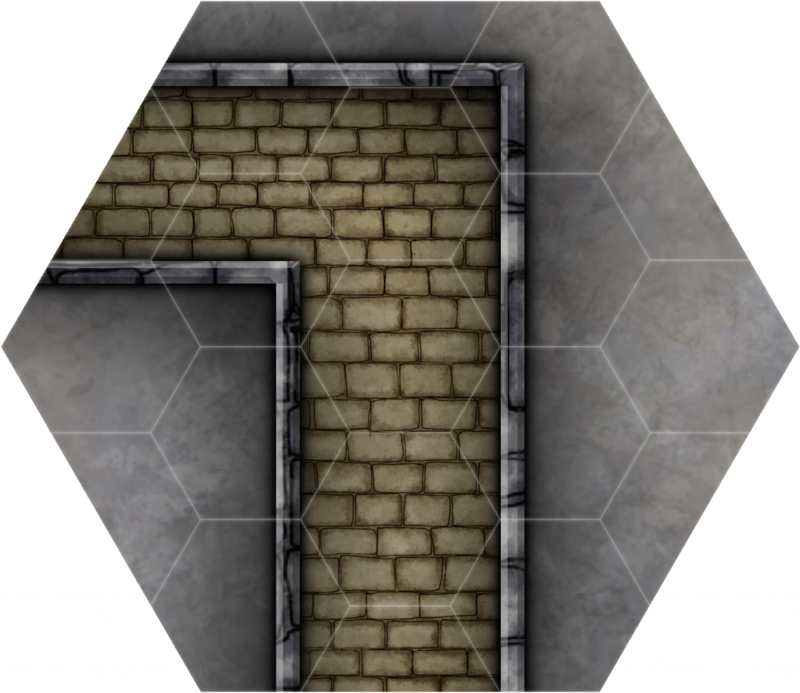 The four inch tiles will certainly allow for more dense dungeons, and with a bit of thought and planning will be able to offer some very complex designs. 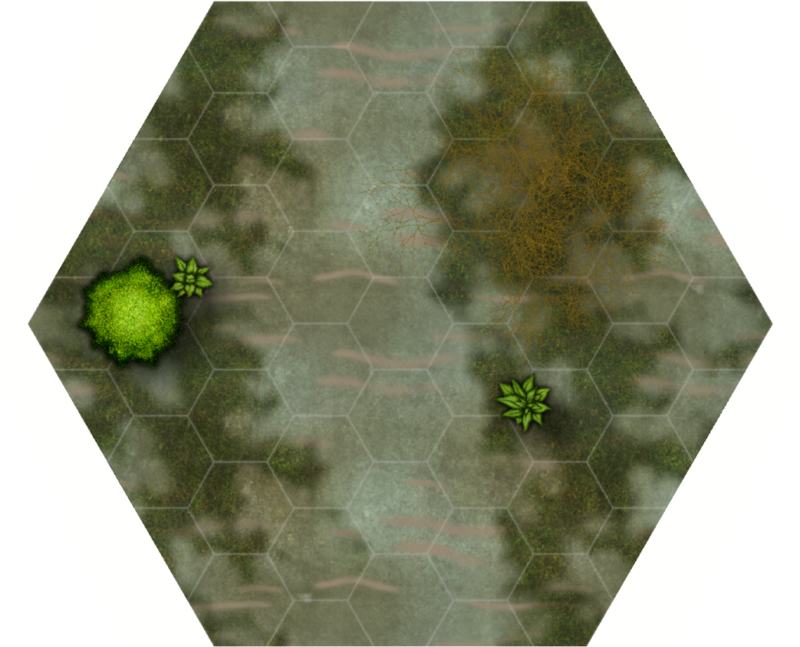 Also you can make any Hex Dungeon look just like any Square dungeon. All it takes is manipulating the width of the horizontal corridors. If the corridors are the same width they will not match up when a horizontal corridor attaches to a vertical corridor. The horizontal corridor will be too wide. 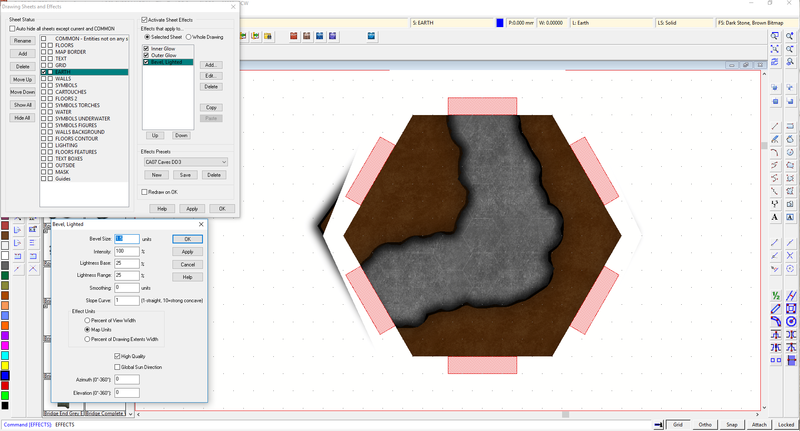 I can live with this slight alteration as it now gives me more options when designing. 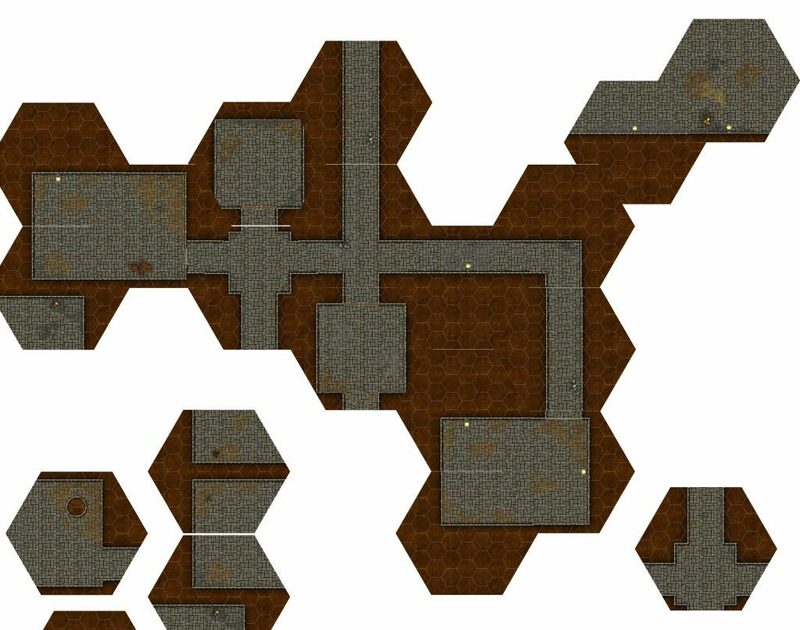 I can now have corridors that turn at 90° just like you would with a square tiled dungeon. 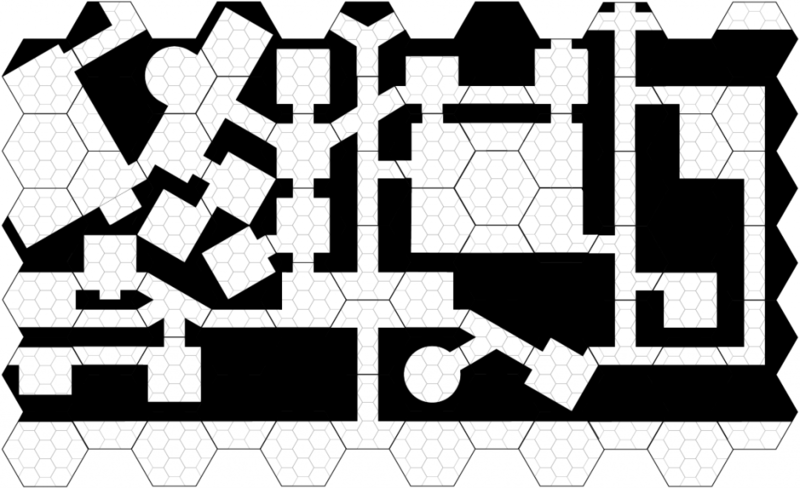 What I like from the example above is how at any given time the orientation of the dungeon can turn 60° giving the dungeon a more natural feel. If you’re digging a dungeon why would you limit yourself to a grid? 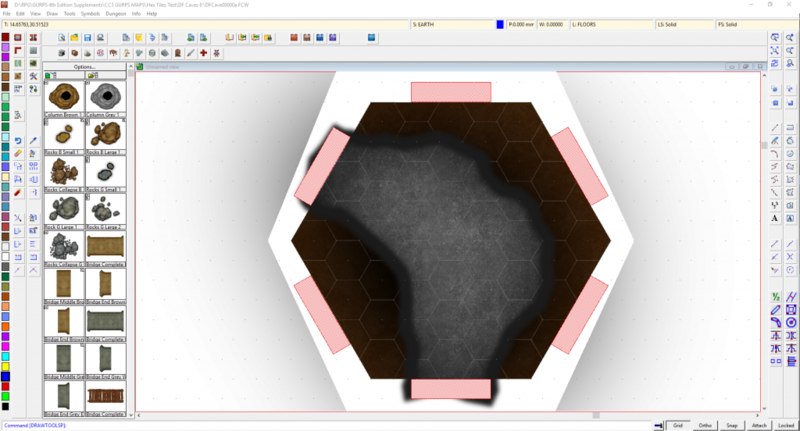 Also once you add the double width corridors your increasing your options and complexity. I’ll be adding more as I have time. 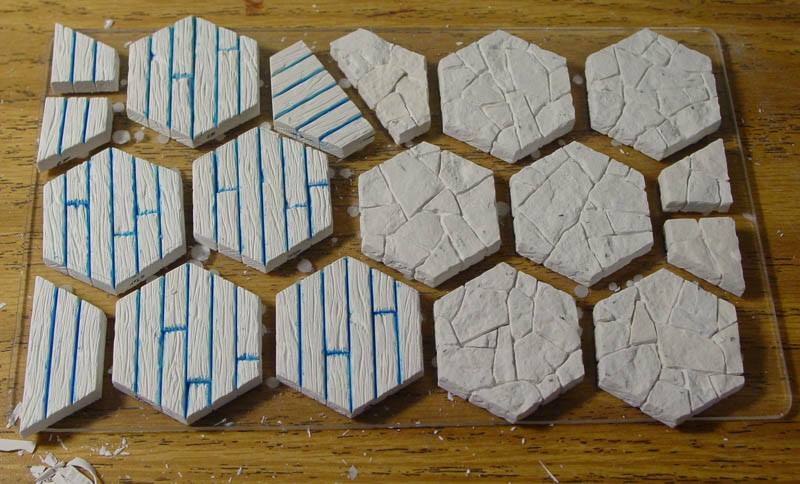 I’ve got plans to make full 3D dungeons using the 4 inch tiles and plaster molds such as those you can get from Hirst Arts, Linka World, and 4bot Industries. The issue is I will have to make a lot of custom pieces and custom molds so I’m going to be shelving this project for the mean time. I think switching from the 7″ to the 4″ tiles was the right choice for me. 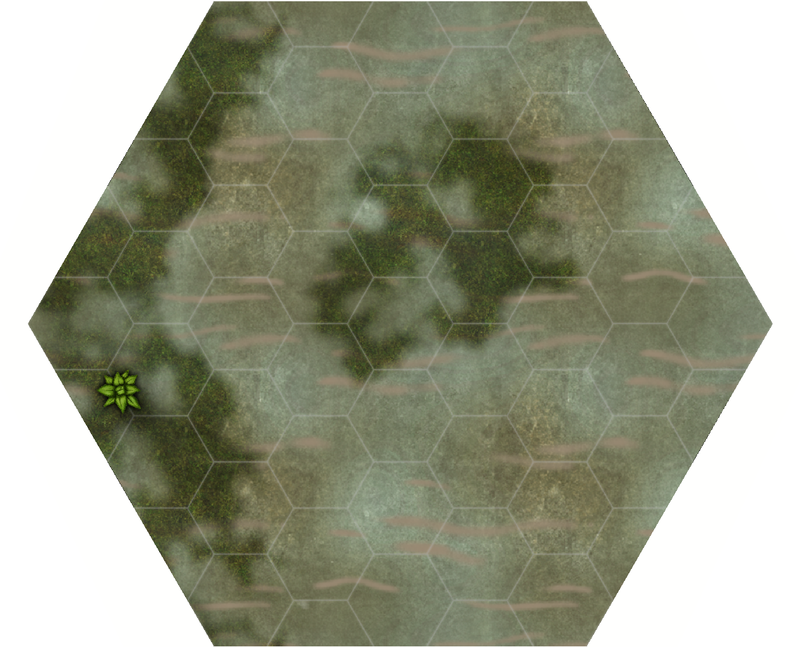 When I get time I will go ahead and place the 30+ 7″ colour tiles I’ve already made if anyone is interested in trying them out. 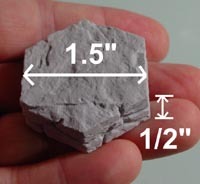 I’ll do the same for the 4″ but not until I get a large amount ready. 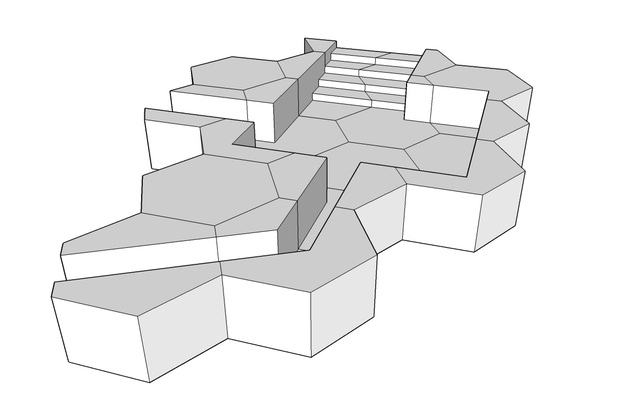 If you read back through the blog you can see my slow (very slow) transition of how I make my geomorphs. 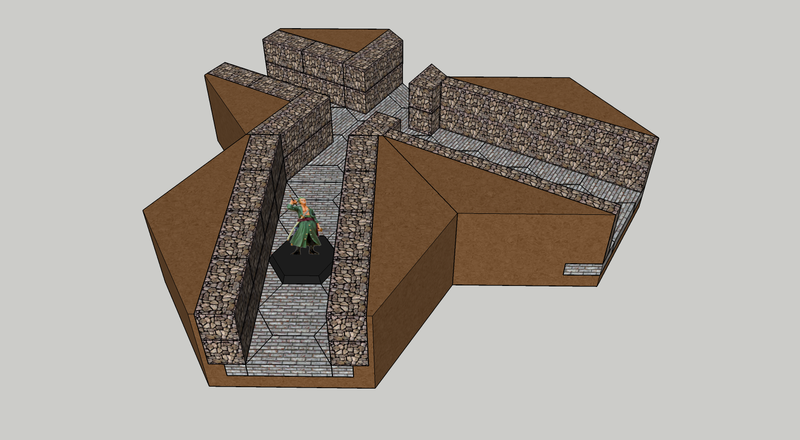 I started with just making the rooms and corridors and cutting them out at the wall. 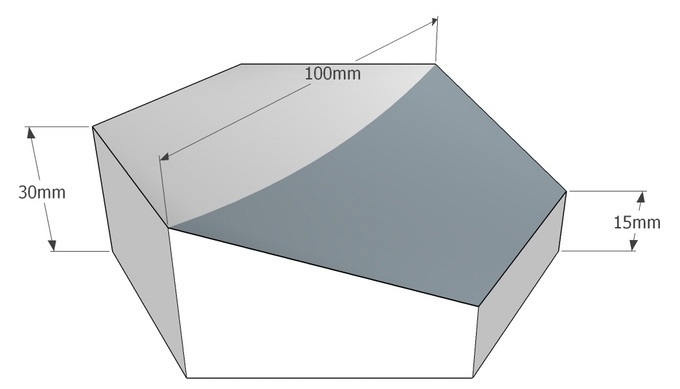 Looks good, you can do a lot with it, however you need to make separate vertical and horizontal parts for each option. Not very efficient. Then after several discussions with people I know, one of which was Andorax, from the World Works Games forums (now defunct). 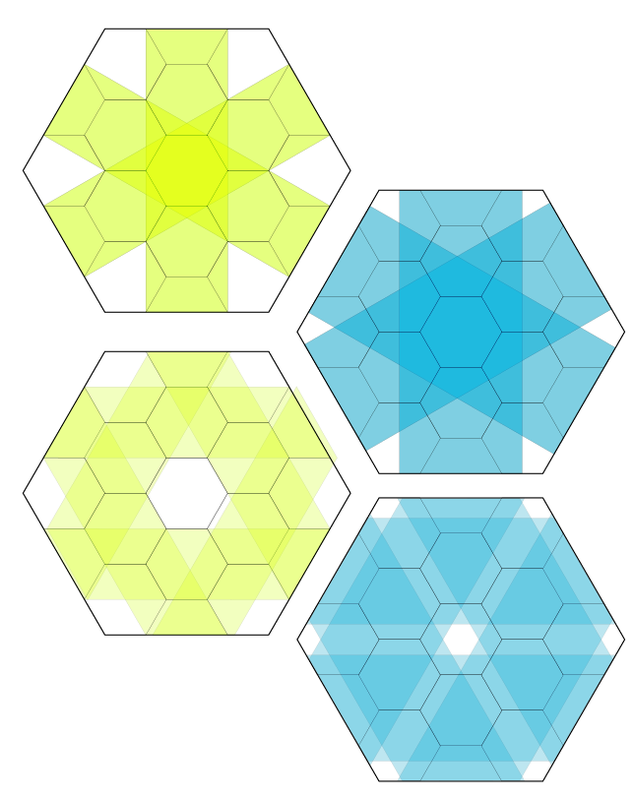 The idea of making the tiles Hexagonal in shape that way you can rotate them in any direction without the need to make Vertical and Horizontal versions for each tile. I made the tiles 7 inches from flat side to flat side to reduce the paper waste. 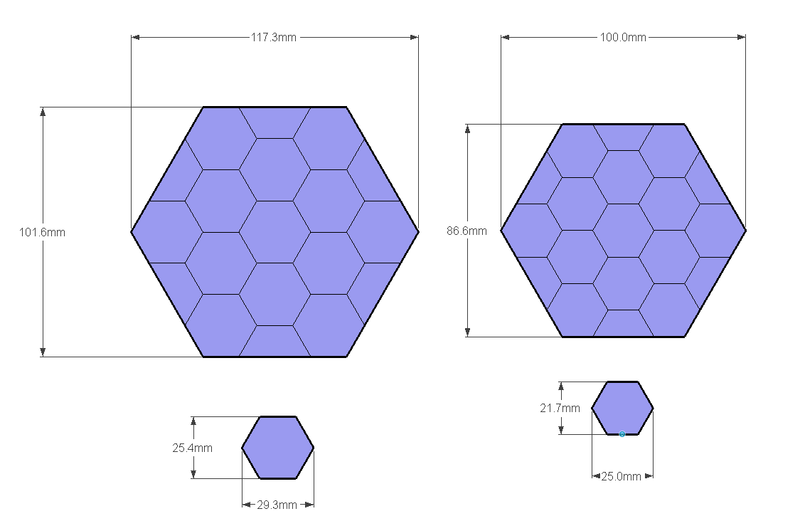 One of these hexes would fit on either A4 or US 8.5×11 sheet of paper. If your using high quality photo paper then you really don’t want to be throwing a bunch of it away. The other nice thing about the 7 inch tile was you could have single (3′), double, and triple width corridors giving you a varied dungeon. 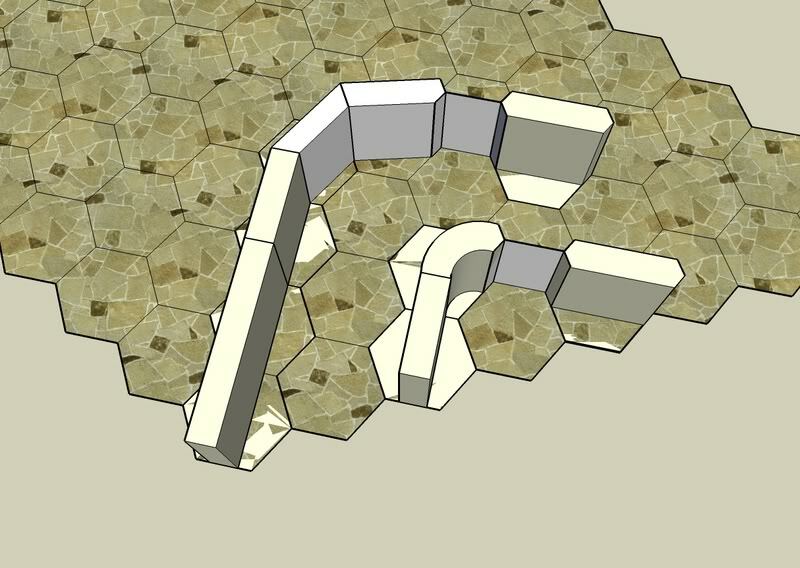 Now to connect the walls together when you’re running them at a 60° turn means that the horizontal corridor has to be slightly smaller for the walls to match up at the edge. This way you can place your 4 way cross roads and all four corridors will match up to the next tile no matter how you rotate them. Plus you then don’t have to be confined to just 60° turns as I’ve seen many people do. These were overly complex but a good start. Unfortunately I no longer have the files for these. 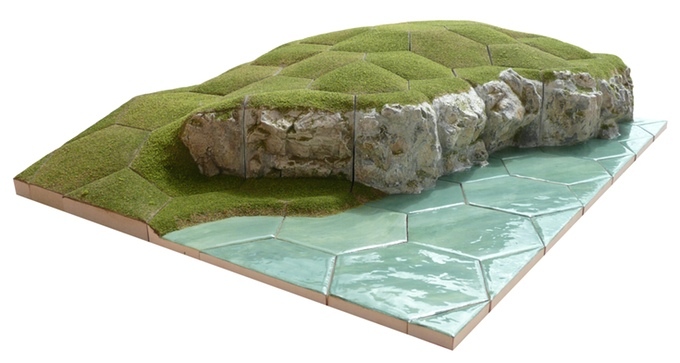 Then last November during my routine searches for Hex Maps and Hex Dungeons I found the Kickstarter for Tabletop Hex Terrain. You can read my thoughts about it in the blog post linked above. I now have the Hex jigs but I think I’m going to scale them up to get a true 1″ hex and have them laser cut. I can still use the original Hex Jigs for Battletech and Mechwarrior: Dark Age. 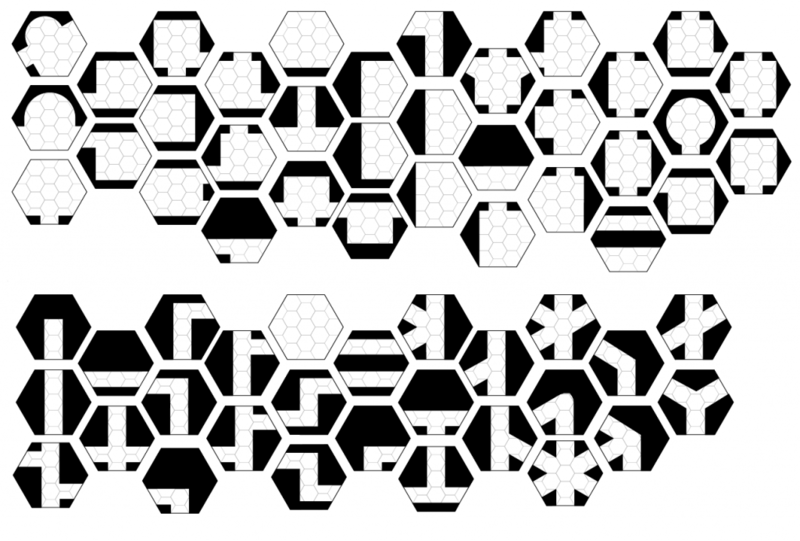 Then in December the Hexomorfo System came out using the same conclusions I was using (but only using vertical corridors not horizontal as well) but the smaller scaled 4″ tiles, a bit like the Hex Jig that I discussed in November. 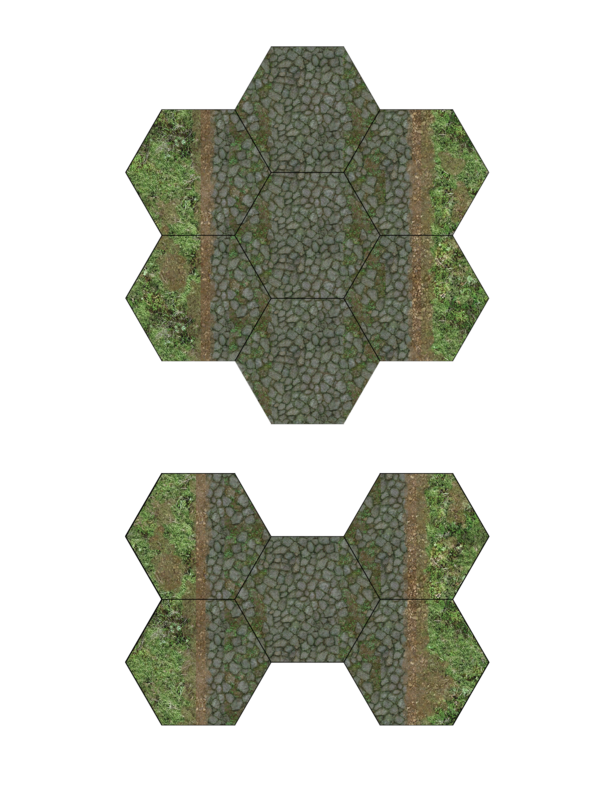 My only issue with the 4″ tiles is you can not have triple wide corridors without needing four hexes for the length of two that you would need for single or double wide. 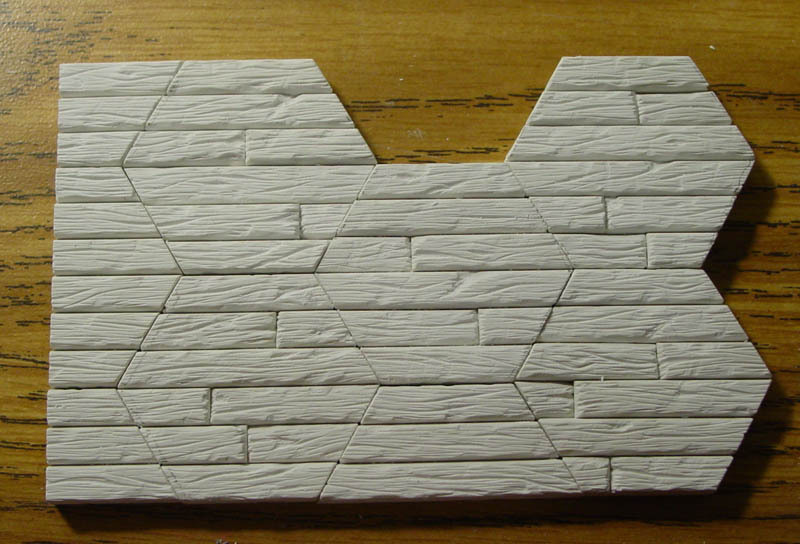 I had considered going to 6″ tiles but it would be bulky for the 3D version although easier to build using Hirst Arts bricks. 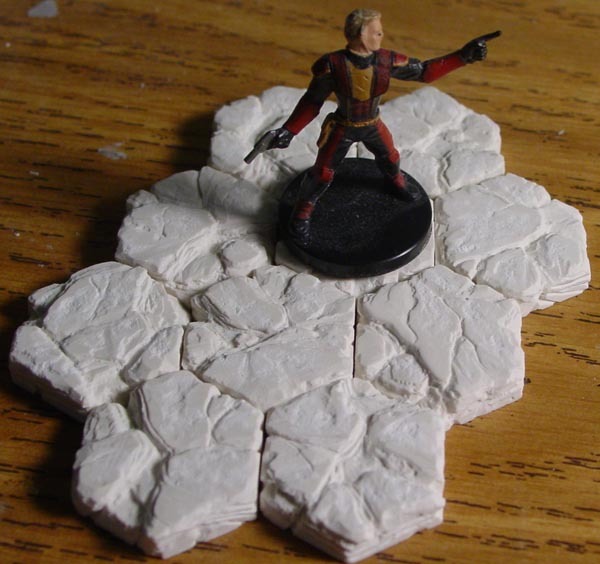 However I’m going to have to custom make 1″ hex tiles for the Hirst Arts as Bruce doesn’t seem interested in making any. 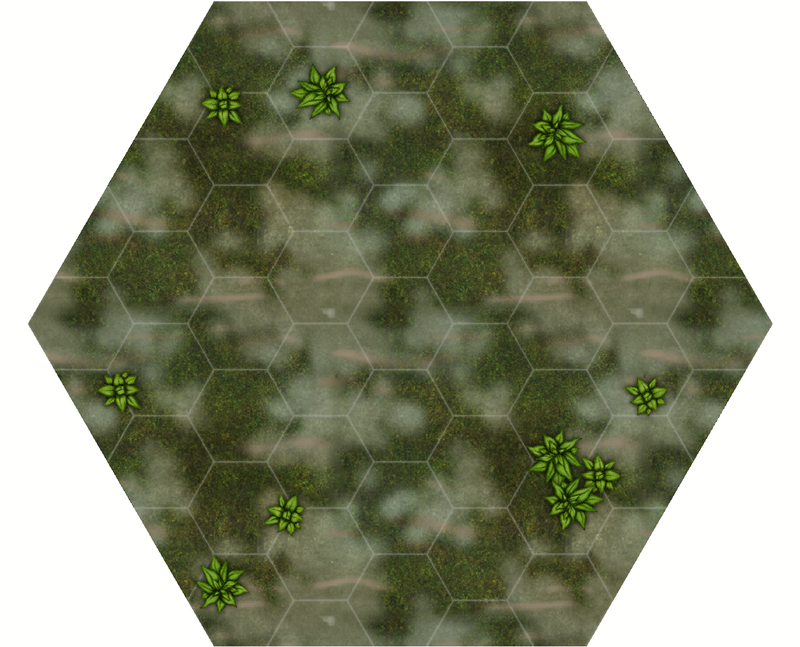 So now I’m currently making tiles for the 4″ system and I’m hoping to get about 100-150 done before experimenting with the 3D tiles. I’ll keep posting updates when I reach them. 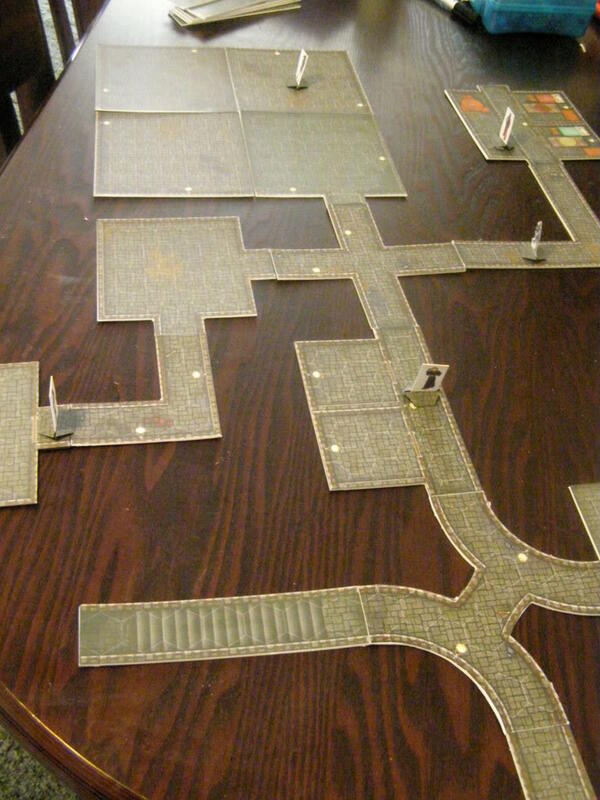 A mock of what a dungeon might look like using this system. 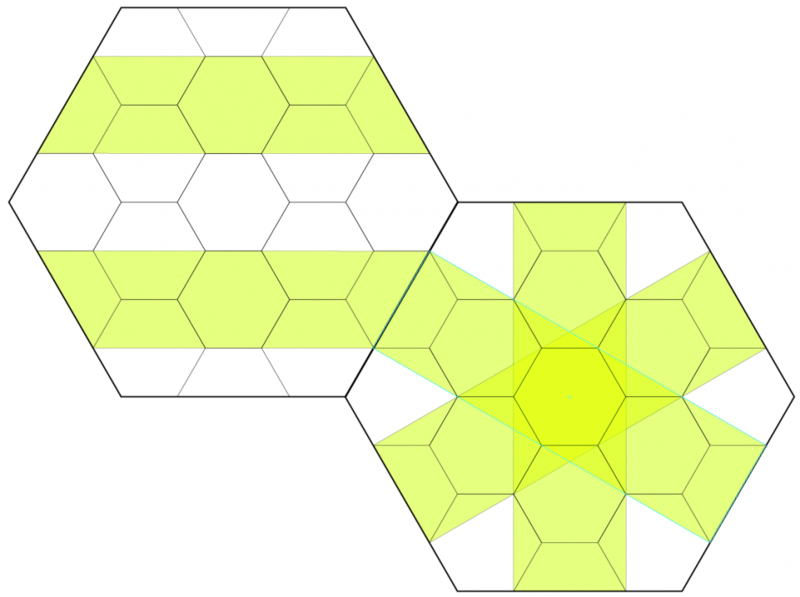 Remember each of those hexes are 100mm vertical. I wasn’t sure if I was going to back it at first. 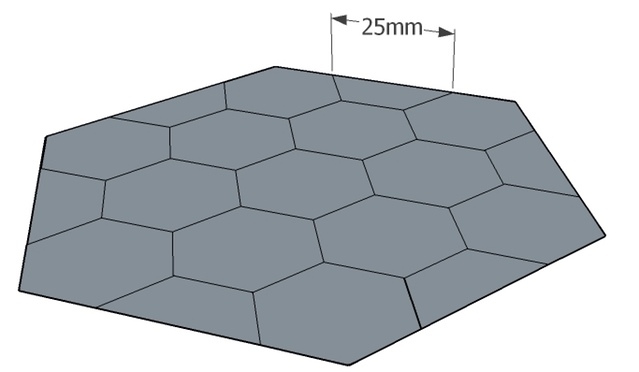 For GURPS I use 1″ (25.4mm) horizontal hexes and for this system it is 100mm vertically which allows for 25mm vertical hexes. However I’ve decided that I’m not going to let it bother me as it looks so nice! Here are the differences between the two. 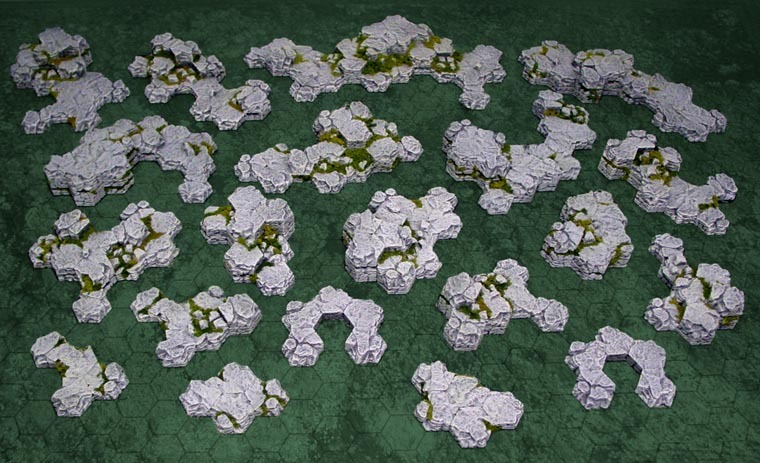 It will mean that some miniature bases will overlap the hex. However it looks so nice! Look how amazing that looks! 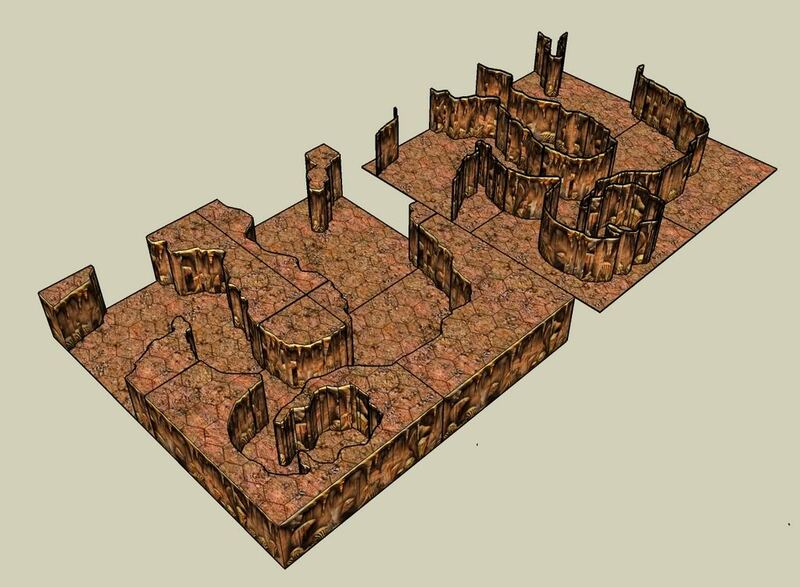 With the risers it would be really easy to place a dungeon underneath the ground and terrain on top! They are expected to arrive in March which will give me two months before Dungeon Fantasy Powered by GURPS arrives in May! Also I will be able to use these for my wargaming as well.